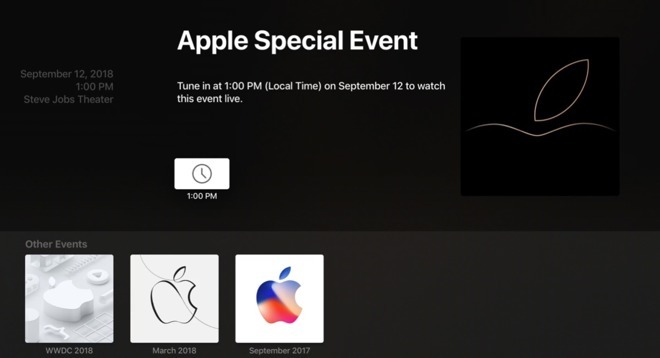 On Wednesday afternoon, the Apple Events app on the Apple TV got a facelift to reflect the Sept. 12 event —but the company has not divulged any of its secrets on it yet. The icon has the same gold tone that the circle on the "Gather round" invitation bears. Except, this time, it is on the upper third of the Apple corporate logo. 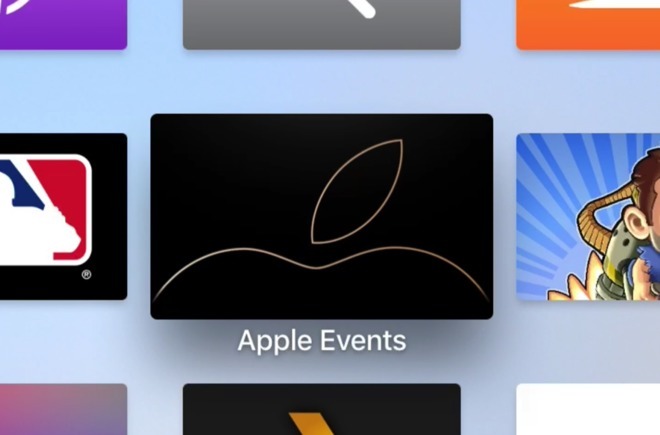 Inside the app, the same events that Apple has already previously released video for, including the 2018 WWDC, the March 2018 iPad event, and the September 2017 iPhone X release. Apple's "Gather round" event is taking place at 1:00 p.m. Eastern Time on Sept. 12. Expected at the event are Apple's new iPhone lineup, likely consisting of two models with OLED screens measuring 6.5 inches and 5.8 inches, while a third is equipped with a 6.1-inch TFT LCD. Other rumors claim that the Mac and iPad Pro may see updates as well.